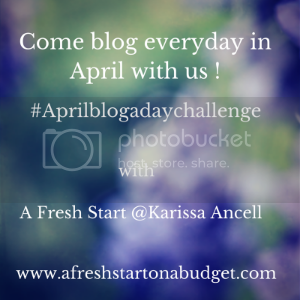 Welcome to Day 21 of the April Blog Challenge. I hope you will join up at the end of this challenge and link up a post. Today the prompt is an easy one. Write a post of a favorite memory then come back and link it up. For me here is the story of finding out I was pregnant with Bella. I woke up one morning and decided to test. I have PCOS so my periods are very irregular so I never knew when to test. We had been trying to have a baby for a while at that point and I just had a feeling. So that morning I got up and took a test. It was actually a plus sign but after so many negatives I didn’t believe it so I drove to the store and got a digital. Came home and took it and positive again. Of course I wanted to tell my husband but he was at work all day. I didn’t want to tell him on the phone but I wanted to tell someone so I figured if I saw someone I would tell them. I asked my mom to come over and pick something up but she was busy and I didn’t want to tell anyone over the phone for the first time. So I was forced to wait HOURS for Blake to get home so I could share with him. It was exciting to know it all by myself for a day but at the same time frustrating because I wanted to share my news! So there is a favorite memory of mine, what’s one of yours? How sweet! One of my favorite memories is my wedding day. Everything about it was just awesome; small but beautiful. Finding out you’re pregnant is such a sweet memory. Thank you for sharing!